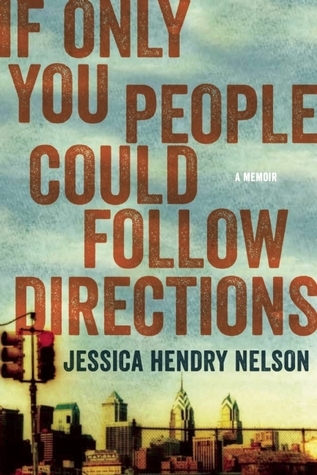 If Only You People Could Follow Directions: A Memoir by Jessica Hendry Nelson is a collection of linked autobiographical essays put together to form an amazing story. Nelson earned her BA in English from the University of New Hampshire and her MFA in writing from Sarah Lawrence College. Her work has been publish in several journals. Nelson teaches writing at Johnson State College and is a co-founder of the Renegade Writers’ Collective. I chose this book expecting short stories. What I received was different, and I could not be happier. The writing, as well as the story, are well, simply amazing. I had to keep reminding myself I was reading a memoir. Overall it read like fiction. The reader is pulled into the story and the story does not let go. I thought I would read this book over a course of a week, instead it took two days. I spend most of my Sunday turning e-pages and missing lunch; I couldn’t put the book down. Other times reading felt like I was reading poetry. Nelson has the ability to weave words together in such a way that it feels like you are drawn into a poem. There is a pattern and rhythm to the book that is equally as entrancing as the story itself. I marked passages to add into this review, but as it turns out I have far too many marked passages to include. The story is about Nelson, her mother, and brother. Other family members and friends are brought into the story at different times. There is success and failure in the book, and the Nelson and her family rise and fall, mostly as individuals. There are drugs and alcoholism in the book, and it seems different than the usual deep, dark Selby-esque story of abuse. There seems to be almost a middle class quaintness to it all. From mom’s stash, a friends Ritalin, to a family member’s stealing to support his habit, there seems to be a air of normalcy about it. Not a good or really bad, but real. This feeling carries over to the people in the book they are all very real and believable. If it isn’t obvious by now I was thoroughly impressed If Only You People Could Follow Directions. I particularly like the chapter “In New York.” Each paragraph begins with “In New York” and follows with a phrase or few sentence story. You can feel the emotion and sense of being overwhelmed, frustrated, and sometimes even joy; the feelings leap out of the page at you. It is not too often that contemporary story telling really pulls me in, but this book is a rare pleasure.